SAP API Business Hub is the central catalog of all SAP and partner APIs for developers to build sample apps, extensions and open integrations with SAP. 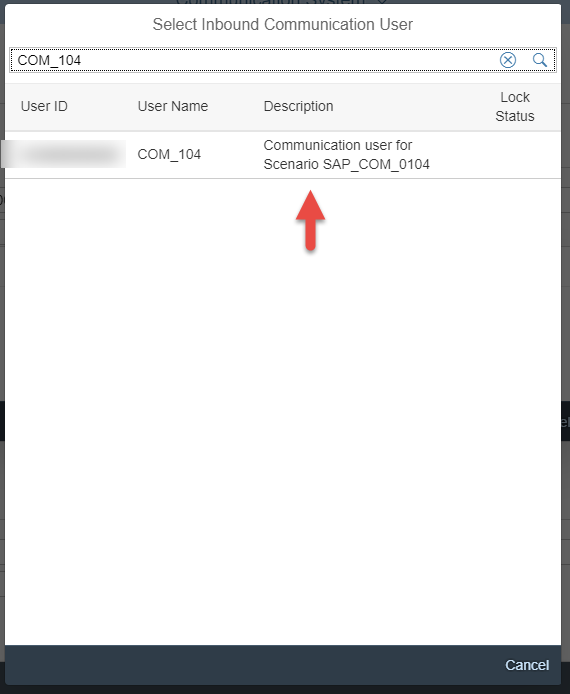 In this blog, we would show case the discovery, exploration and consumption of the SAP S/4HANA Cloud APIs to build a Fiori Application. In part 1 of the blog series the Discover, Explore and Testing of the SAP S/4HANA Cloud APIs (Read Planned Orders) was captured and part 2 the consumption of the Read Planned Orders API in a Fiori application was showcased. In this part, the Configurations on the SAP S/4HANA Cloud System required to access the Read Planned Orders API is showcased. 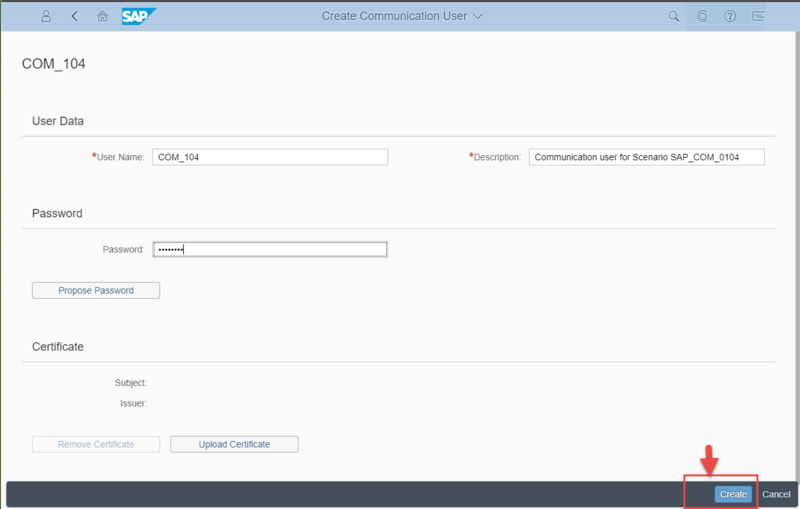 The blog explains the concept of SAP S/4HANA Communication, Integration and Authorization artifacts. In this section, steps for creation of the communication system and user for Read Planned Order APIs is covered. Note:- The user should have the role Communication Management and Extensibility for this configuration. 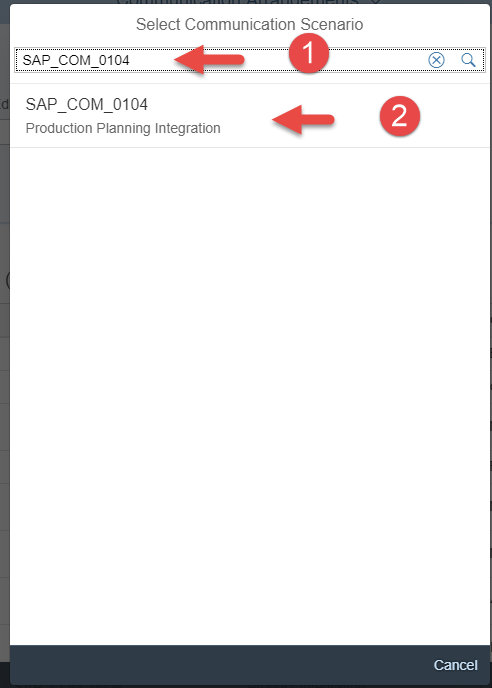 This role can be assigned via Manage Business User Fiori application. 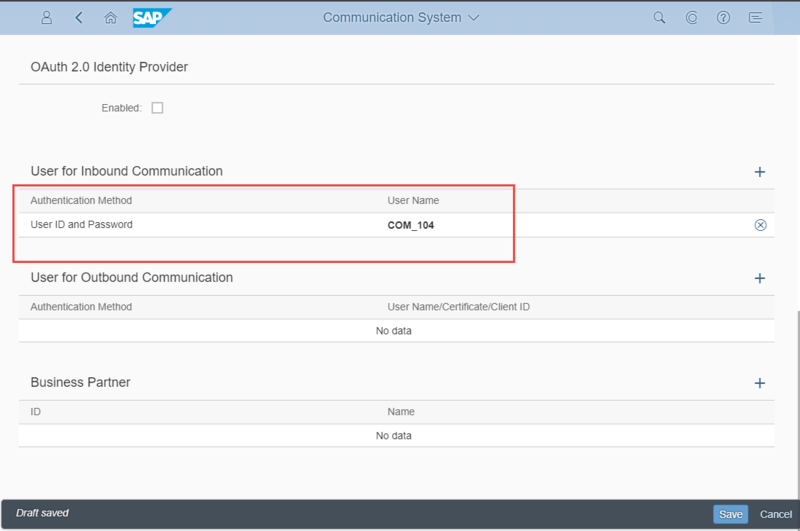 Open SAP S/4HANA Cloud and then navigate to Communication Management tab. Click on Maintain Communication Users. Click on New to create a new Communication User. Enter User name (say COM_104), Description (say Communication user for Scenario SAP_COM_0104) , Password and click on Create. Navigate to Communication Management tab. Click on New to create a new Communication Systems. Enter System ID ( say MRP_LOCAL), System Name ( say MRP_LOCAL) and click on Create. In the host name provide the details of your S/4HANA Cloud system details. 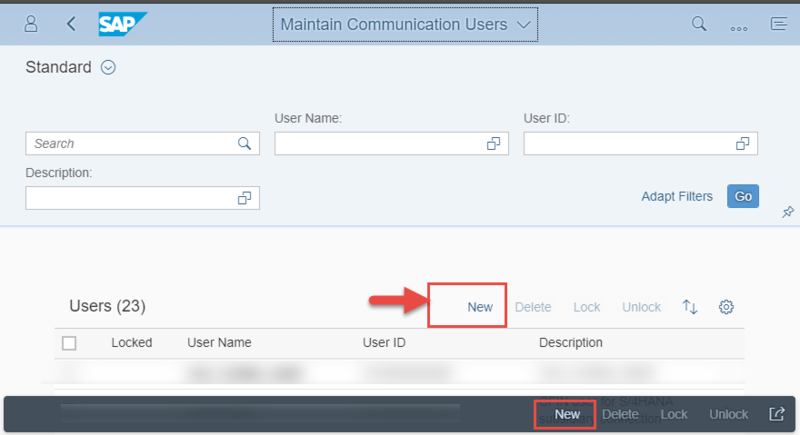 In the User for Inbound Communication click on + to add in the Communication user details. In the Select Inbound Communication User search and select for the Communication User (COM_104 as used in this blog). Select the Authentication Method for the selected Communication User, say User Name and Password (for Basic Authentication) and then Click OK. In the User for Outbound Communication click on + to add in the Communication user details. Click on New to create the new Communication Arrangements. To create the Communication Arrangement, details of the Communication Scenario is required. This information can be found on the SAP API Business Hub, under the Overview tab of the selected SAP S/4HANA Cloud APIs ( Read Planned Orders). Enter Arrangement Name (say Material Requirements Planning) and then click Create. 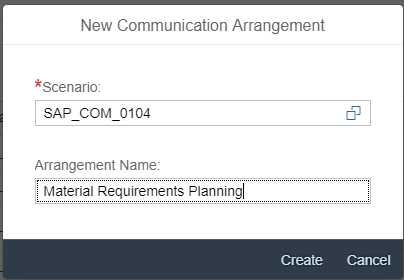 This would now create the Communication Arrangements required to access the Read Planned Orders API and all the APIs which are part of the communication scenario SAP_COM_104. Details of this is available in the Best Practices explorer. Click on Save to persist the Communication Arrangements. 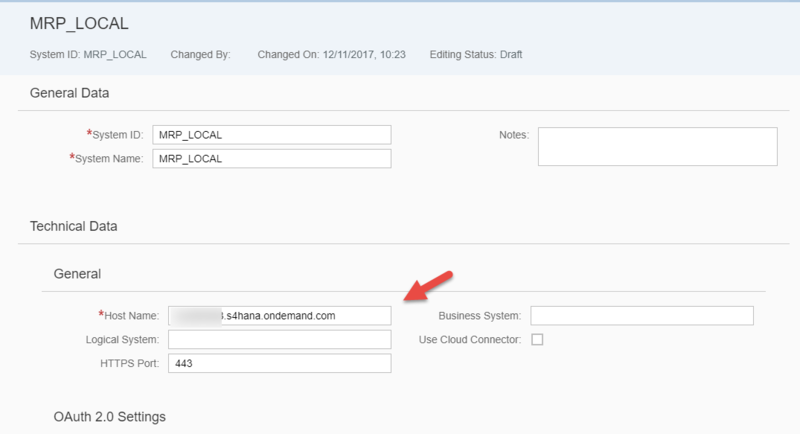 Now that the configuration on the SAP S/4HANA Cloud tenant is completed, the Read Planned Orders API from your SAP S/4HANA tenant can be managed via SAP Cloud Platform, API Management. 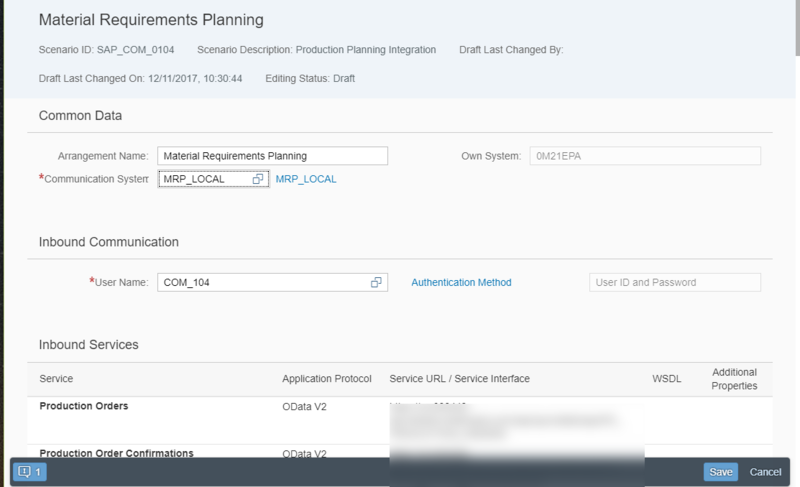 Management of the Read Planned Order API using SAP Cloud Platform API Management has been covered in the Part 4 of this blog series. Thanks Divya for your post. 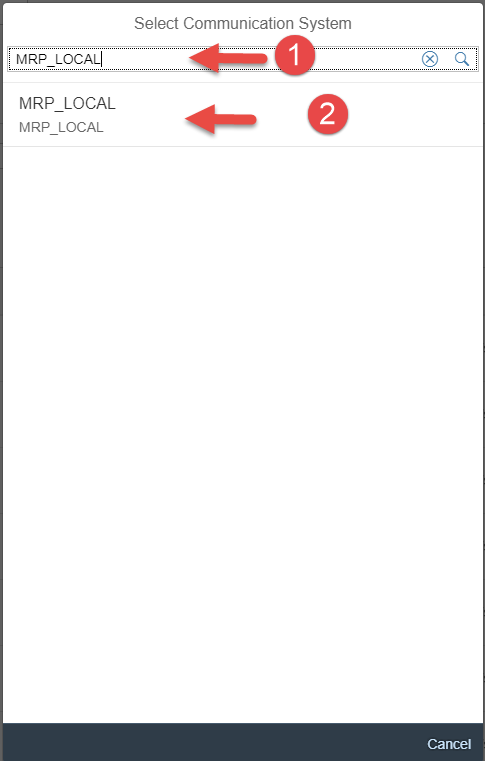 I cannot create a communication user so I can test the API. Also, how do know my Fiori launcher URL for the Neo Trial instance?